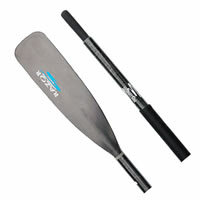 Cataract Oars are super popular as both a fishing and a whitewater oar. 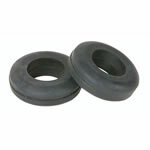 40% lighter than aluminum, but with twice the breaking strength. 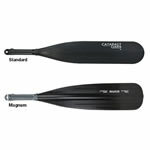 Cataract oar shafts are made from a carbon fiber and E-glass composite and are designed to flex like wood but rebound like a graphite composite. 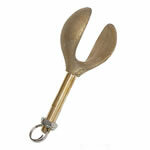 We prefer the rope wrap because it's both quieter and holds its place better in the oarlock. Rope wrap it is 20" long and starts 16" to 24" down from handle depending on oar length. From Patrick Cole of Bend, Oregon on 5/30/2016 . From Harry Dundore of Chico, California on 4/6/2013 .